*As an Alternative florist….All of the fresh arrangements offered here would be perfect for nearly any occasion, regardless of circumstance. There are some designs that are of course, historically traditional to certain occasions, but we truly feel that any floral design would be fitting for any reason, and we encourage you to think outside the box. Every design shown can also be created in permanent flowers with no price change. These are then a forever design and shippable anywhere. *As practitioners of green floristry, we do not cater to worldwide importers with vast varieties of foreign product of other florists, but use those which are eco/organic, US, and sustainably grown. Hence, some of the flowers (and containers & vessels too) at times may be altered when necessary (i.e. season or crop issues) but only with equally effective varieties to replicate the design. As a further courtesy, we have also given approximate dimensions of our designs as an assistance and general guideline for your reference, we hope they help you. We are sticklers for giving you what you ordered-with no surprises. So please note that prices at times can fluctuate around the various Holidays. *As at a European florist, this is of the utmost importance, contributing to the entire experience of receiving a gift of any kind-especially flowers. Each order is presented as we would like to receive or gift it-impressive wrap, box, or Victorian bag with ribbon trailers-and a complimentary sachet of fresh rose petals for bath or bowl. Your purchase is properly primped-we fuss. ***Online orders for same day delivery must be completed by 9 a.m. or telephone by 11 a.m. Notations are made as to which may not be available for that day but may require 24 hours or more due to their complexity and/or variety. Although….incoming flowers arrive daily from our various sources, so it doesn’t hurt to ask! As always, if you prefer to telephone us at the store direct-we love to hear from you. **We apologize, but we cannot deliver to any address without a telephone number-it is a must nowadays! ** We cannot guarantee a specific delivery time (excepting for wedding and sympathy) as we route the orders according to area/township for fuel, energy, and time conservation. This enables us to keep our charges stable for you. However, if you do require a guaranteed time, immediate, ‘doghouse‘, Sunday, or a Holiday delivery in our local area, we can usually accommodate you with our express delivery; giving your order priority, for an additional 19.95. **Feel free to inquire at any time on the status of an existing order by calling the store direct at 845-562-2820 Tues.-Sat. from 10 a.m.
**As the only East Coast eco florist, we have a very large delivery area and have priced it accordingly. **New York City and the tri-state areas are priced at $1.50 per mile plus tolls. **Fresh designs can be sent nationwide through other fellow florists. We use only recycled packaging for all of our packing and shipping. Our permanent & dried designs, fresh & dried tussie mussies, fresh wedding packages, antiques, and gifts, are all indeed shippable. All of our fresh arrangements may be created using permanent, silk florals and are also shippable. If you are ordering for a date specific event or Holiday, please contact us direct to ensure you receive it in plenty of time. Your items are very carefully wrapped & packaged and sent with complimentary insurance in the US; and always include a gift card. 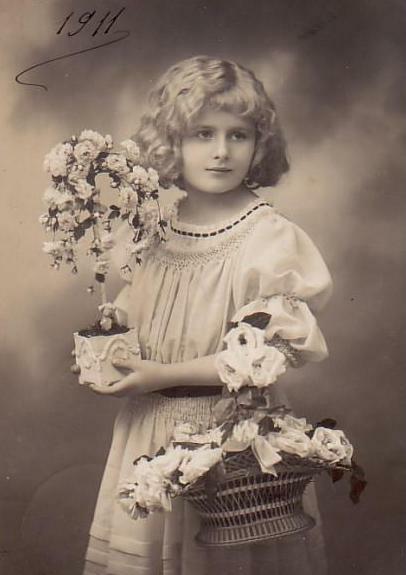 Due to the fussiness and fragility of fresh flowers and some of the Victorian and Natures Folly designs-the packing and shipping method is of the utmost. We ship via Priority Mail, Federal Express, and UPS altering the carriers as necessary with overnight a standard practice for all fresh products. We partner with NativeEnergy.com to offset carbon emissions required to deliver or ship your order. We help erase the environmental impact, so you can feel even better about your purchase! Native Energy helps build and support renewable sources of energy that reduce global warming pollution; creating sustainable economies for impoverished Native American reservations, Alaska Native Villages, family farmers and rural communities. This allows them to live free of costly electricity-if they had any-and ease up our reliance on fossil fuels. See how you can help erase your own environmental impact, visit them today or use our calculator. It costs only pennies and supports so much. Ok you read it all-you were good! Read about us and how we are trying to change the world….